If you haven’t heard already, your ability to build good credit over time can make or break your financial success. Simply put, building good credit is great for your personal lifestyle and the economy. The better your credit, the more you can receive financial benefits and opportunities, including lowered interest rates and loan approvals, so good credit should be at the top of your financial wish list. If you’re like most people, you’ve probably realized that one of the easiest ways to build credit is through a credit card. Indeed, Statistic Brain claims there were approximately 1,895,834,000 credit cards in the U.S. along with 199,800,000 credit card holders during 2016 alone. Although signing up for a credit card may be the main way most Americans learn to build credit, it isn’t the only way to build credit. If you want to build credit, but don’t want a credit card, a good place to start is your credit report. 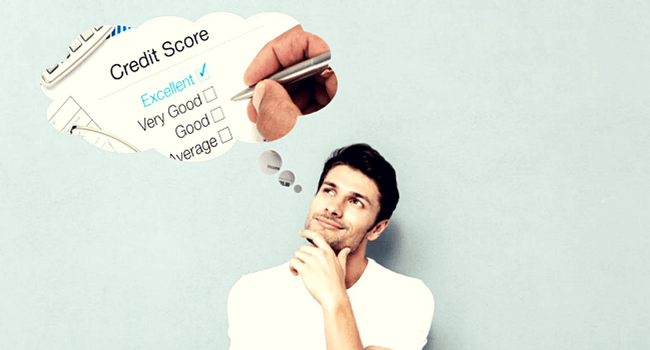 Even if you don’t have an extensive credit history, your credit report is a free way to see what, if anything, is already recorded; it’s your baseline. For example, multiple savings and banking accounts may appear on the report along with any past loans. These can all have an impact on your credit score. When you understand what is recorded on their credit reports, then they can begin to make proper credit-building plans. Payment history makes up 35 percent of an overall credit score, and that includes whether or not you pay your credit card bills. And this doesn’t just apply to credit card bills, but also to all recurring expenses like rent, utilities, and even cell phone bills. These recurring bills might be reported to a credit bureau if they are not paid on time. In the absence of credit card statements, some businesses will allow for individuals to send their rent or other recurring payment histories to a credit bureau in order to build positive credit. Credit-builder loans are typically a starter option for those looking to build credit without getting a credit card. These loans are occasionally offered by banks and credit unions and usually have low interest rates. People who take out credit-builder loans typically borrow a relatively small amount, often a $1,000 or less on the loan, and they pay it off in 12–24 months. This credit-building technique only works if the borrower can make payments on time. Again, this goes hand-in-hand with how much payment history truly affects a credit score. A popular method that many parents use to help their children build credit is adding their children as authorized users onto their credit cards. Basically, authorized users receive the credit-building benefits of credit cards without actually opening a credit card account. This tactic only works, however, if the person with the card is a responsible card user. For instance, if the primary cardholder makes credit payments on time, understands how credit works, and has a good credit score/history, then the method will most likely succeed. Most parents take advantage of this method simply because they deem themselves responsible enough to add their children’s names on their credit cards. If done responsibly, this option can significantly help a non-credit card user build credit. Although building credit using the methods mentioned above may be significantly less common than using credit cards, these methods still result in the building of good credit. With similar credit-level results, it is fairly easy to see why many Americans would steer clear of using credit cards. After all, there are many who are still wary of credit cards because of the stark reality of debt-related consequences. If you, by chance, fail to see your credit build without a credit card and you’re stuck searching for a faster/easier way to achieve positive credit, choosing credit repair services might be the smart option. Credit repair is designed to give credit-raising opportunities to those who fall south on the credit score scale. Consumers that take advantage of online resources when they are conducting credit repair research will ultimately have a better understanding of credit and how credit repair actually works. Overall, the more someone knows about credit, the better off they will be when it comes to building and maintaining their own credit. This entry was posted in Credit Repair and tagged build credit, credit card, credit report, Credit Score, loan, payment history. Bookmark the permalink.